As per the video published by the Daily Mail, a woman having her haircut in the salon and just beside her, there are two members. CCTV camera has caught the moment of the explosion. The video does not exactly show the device, but it shows the flames generated by the blast. Things are really not going well for Apple from the past few days, we have recently seen a customer revealed that his AirPods caught fire while listening to music, here’s another report that points to an iPhone that burst into flames in a hair salon. 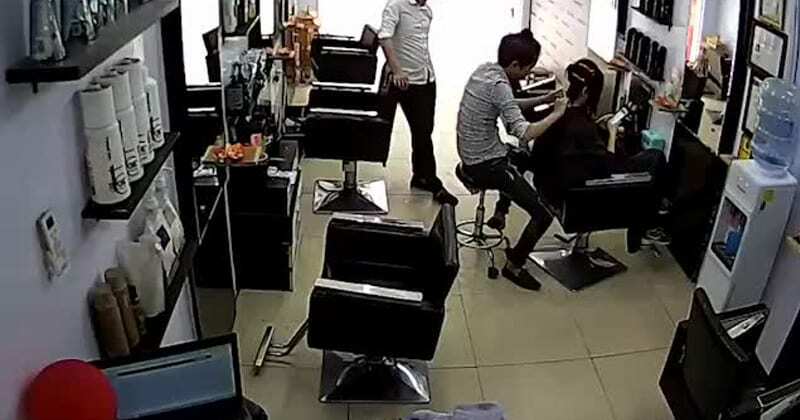 One of the employees present in the hair salon recorded the consequence of the incident which reveals that the phone which caused the massive blast was actually an iPhone. It looks like, it’s an iPhone 6s. However, without any specifics known at this point, it’s hard to figure out the exact iPhone model and what caused the explosion. It’s actually hard to take this video for granted for the time being. This is not the first time iPhone catching fire, there could be lots of factors causing the battery to overheat and to eventually burst into flames. Most of the times, third-party chargers or cables is what lead to such damage. Apple is yet to comment on this new incident, but it’s for sure that the company will try to investigate. So, what do you think about this? Share your views in the comment box below.